← CD HOF Classic is just around the corner!!! Plan Now to Attend this “classic” Event!!! You will be Glad You Did!! Central East Coast District Report by Linda Rebholz. 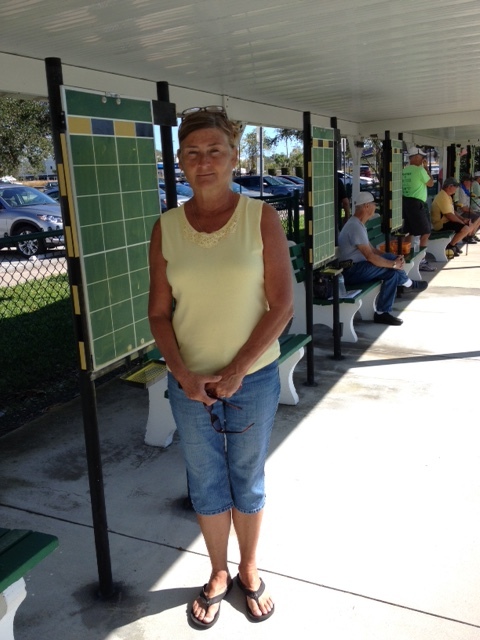 The Vero Beach Shuffleboard Club plays on 10 city owned courts and boast 46 members. Their president, Mary Agness, is also the district webmaster. She recently updated the website and it is very impressive. 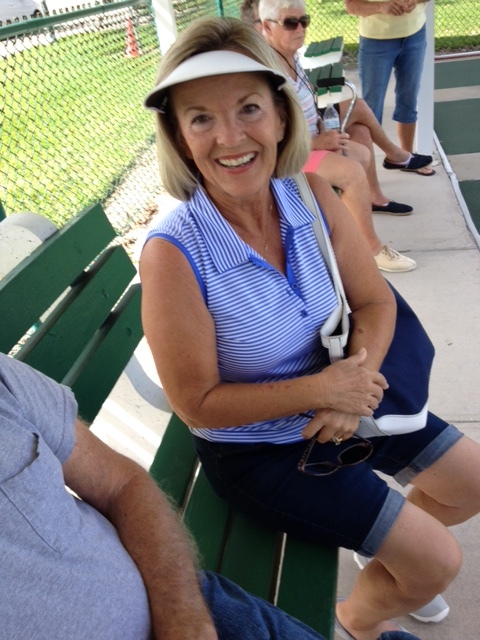 To my knowledge, the Vero Club is the only one that stays active during the summer months. A few years ago, Greg Myers and Pat Kester started “singles/mingles” with the intent of boosting their sponsorship fund (that continues). Recently, new players John and Sally Agnello along with Greg, have spearheaded this effort. Every Wednesday morning during the summer, players from Vero and other clubs, brave the heat. Play continues through January until leagues, district and state tournaments take precedent. The district No Two Pros tournament was held there on February 15 and 16th.. There were 22 teams . 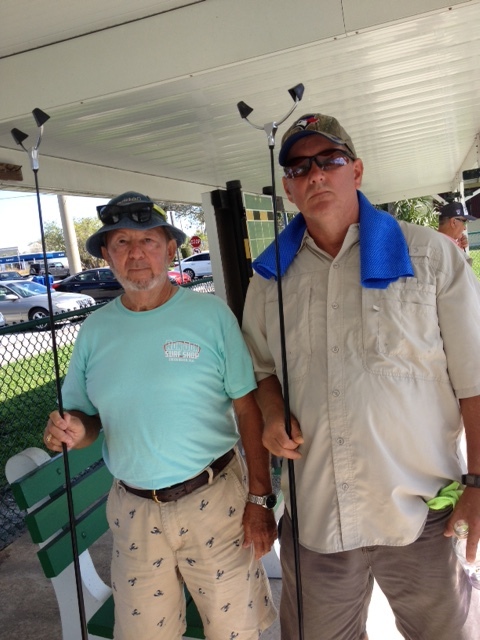 We were happy to see 24 amateurs participating, two of whom drove up from the Hobe Sound area. We also had players from Spanish Lakes 1, Whispering Creek, Ridgeway, Wickham Park and Tropical Haven. 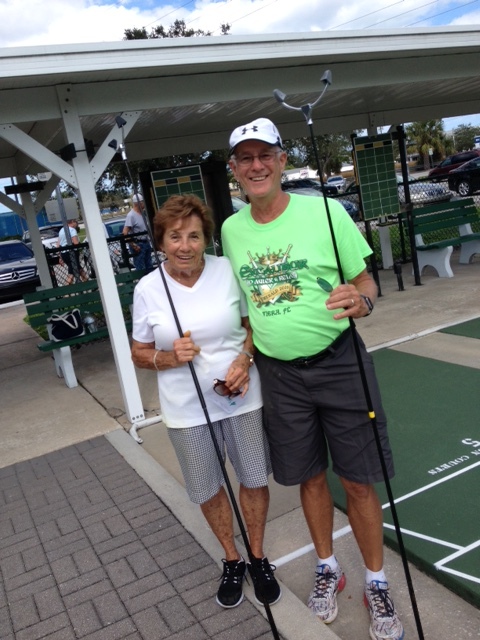 It was exciting to see Betty Snow from Wickham Park win her first tournament–of course her partner, Tom Winkelspecht helped!! We are happy to report that Mary Mahon from Whispering Creek made pro. We are hoping that by showcasing some of our clubs, that we can promote participation and interest for our district. Linda Rebholz. Click on any pic to expand. 2 Responses to Central East Coast District Report by Linda Rebholz. Very nice article, thank you for promoting the game of shuffleboard.